The historic Holman Ranch in Carmel Valley welcomed early Hollywood celebrities and now offers one of the most unique wine clubs in the business as well as first rate estate wines. Sprawling over 400 acres with a 6,000 square foot restored Spanish-style hacienda dating from the late 1920s and several revitalized casitas that have welcomed everyone from Charlie Chaplin to Marlene Dietrich to Clark Gable and Marlon Brando, Holman Ranch is much more than a winery. The hacienda alone is a showcase of early Carmel Valley history and its close connection to early Hollywood. There is even a room in the hacienda favored by Charlie Chaplin and it now houses his memories…under lock and key. The enormous swimming pool was the first in the Valley. For almost ninety years, Holman Ranch has been a place of hospitality and horses, cattle and community. The former owner had the dream of a world-class estate vineyard and that dream has been realized by current owner, Thomas Lowder, and his family. Daughter Hunter manages the brisk wedding and events business and, with her husband, Nick Elliott, they oversee the winery, stables and their own restaurant down the street called Will’s Fargo. 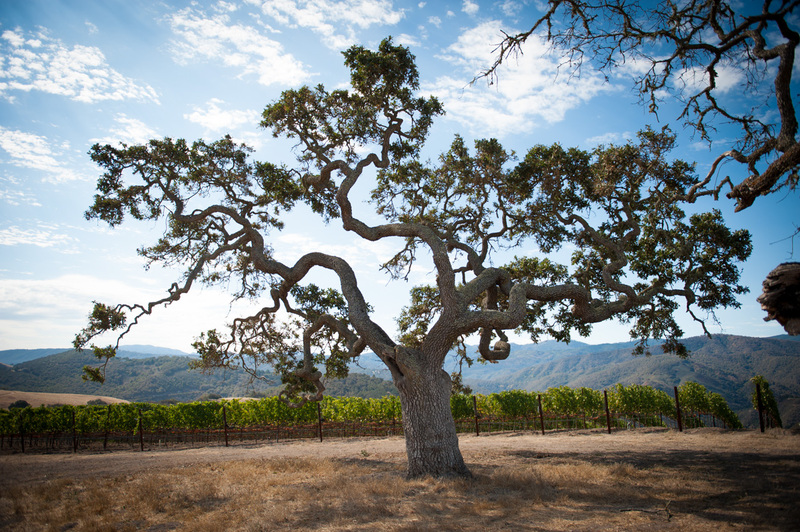 All of Holman Ranch’s wine are estate-grown and include a fruit-forward, food-friendly Pinot Gris and a unique off-dry Pinot Gris with just a hint of residual sugar called 5 degrees Brix – the perfect quaffing wine. Winemaker Greg Vita makes both a “Virgin,” or unoaked, Chardonnay as well as the slightly oaked estate Chardonnay that maintains Chardonnay’s fruit forward apple and pear characteristics with just a bit of toast. Estate grown Pinot Noirs have become a focus of the winery which enjoys vineyard elevations of 950 to 1150 feet above sea level and is surrounded by the Santa Lucia Mountains and close to the Pacific Ocean. Morning fog and afternoon sun and the vineyard’s rocky soils create the perfect stress on the Pinot Noir vines to increase their fruit profiles. The single-vineyard Jarman Chardonnay and Pinot Noir constitute the very best of Holman Ranch’s hand-selected grapes and the wines pay tribute to Tom’s wife, Jarman, who died from Alzheimer’s Disease in 2011. The winery donates significantly to research on the disease and does extensive fundraising.